I haven’t cracked the fundraising conundrum, and I need to if I’m going to do this again. Am I going to do this again? Two weeks ago, I’d have given you a firm no. Yesterday, a probably yes. Today – not sure. People came – lovely, lovely people came. A lot of whom I didn’t know, so thank you especially. I hope you enjoyed your afternoon. How a programme works in your head is really different from how it works on stage. I think my programme showed up a few interesting things, but they weren’t necessarily the interesting things I had in mind at first. Relative proportions are way more important than I’d realised, for example. Mathias Spahlinger’s 128 erfüllte augenblicke is a great piece that should be performed 100x more often than it is. There was some talk yesterday that this may have been its London premiere. I must admit I didn’t check, given that the piece is 37 years old, but it’s possible. Anyone know? Working with people is awesome – nothing you can do as a writer quite compares. Especially people as talented as were involved yesterday. Huge thanks to everyone for their skills and hard work: Anton Lukoszevieze, Tom Jackson, Lore Lixenberg, Philip Thomas, Greg Emfietzis, Ben Isaacs and Charlie Sdraulig. Pic: Philip, Tom and Anton rehearsing Ben Isaacs’ allone. Gregory Emfietzis was born in Thessaloniki, Greece, and studied in Macedonia and at Huddersfield and Brunel universities. 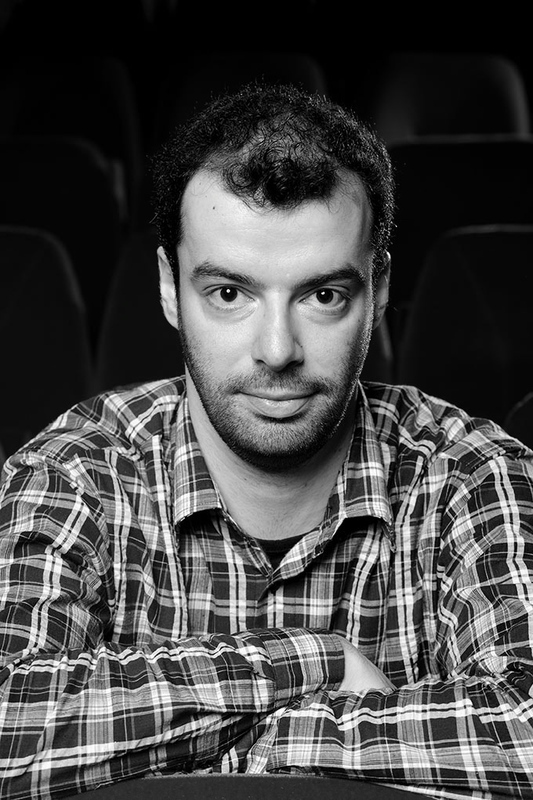 Recent works include the wind quintet Fear (not), winner of an international competition hosted by the Wiener Konzerthaus to mark its 100th season, the chamber opera The Darkness of Mistico and the puppet theatre piece Music Impossible. I’ve chosen a piece by Greg to include in my Kings Place concert because I wanted to include something music-theatrical. Not over-bearingly so, but enough to open a corridor between ‘standard’ music-music, and non-standard music-theatre. And Greg’s music fits the bill perfectly, drawing on Kagel and Jani Christou, but retaining a light and often humorous touch. In DIY 1: the pianist and the lamp, the interactions between the piano soloist and an on-stage lamp play with our symbolic interpretations of light/dark, sound/silence and content/emptiness. Tim Rutherford-Johnson: Composing is an anachronistic career choice for the 21st century, isn’t it? Why do you do it? Gregory Emfietzis: Well … if you consider the size of the advertising and cinematic industry in our day it certainly feels like a very ‘contemporary’ career choice, strongly related to and heavily employed by our modern world. In our particular field, however, I am not sure I can see it as a career rather than (just) as a choice … Despite the many years of studies, countless working hours (not to mention money spent), it still feels more like a professional hobby, which I (just) need to do. Tim R-J: How do you think composing, being a composer, now is different from 20–30 years ago? Greg E: Composing itself can’t have changed too much for ages. Yes, different periods could possibly mean different tendencies or trends, the development of instruments and advanced technology in the hands of more composers, even different types of notation; but I see that like any other more or less expected development of any other profession… The ‘logistics’ of being a composer have changed considerably though, because of the considerably greater opportunities to gain experience by working with amateur and professional players from all over the world, and the even greater opportunities to document your work and present it to a wider audience through the Internet. Tim R-J: What role does silence play in your music? Greg E: An equally important role as non-silence I’d say. Rather than a moment of emptiness and/or inactiveness, silence feels to me more like an extremely ‘loud’ acoustic timbre, which often carries very strong dramatic elements with it. Tim R-J: A lot of composition is about ways of proceeding, extending an idea in time. What sort of decisions are you dealing with as you compose? Greg E: I’d say I’m more interested in stretching time over ideas, in such a way that an audience loses its sense of time. And since ideas don’t appear as ‘just sound’ to me, the theatricality of live music performance comes in too – so I’m very often dealing with time over dramaturgy over sounds over ideas. Tim R-J: Here’s a middle C. What do you do now? This post is published as part of a series of composer interviews leading up to a concert of silent and nearly-silent music I am curating at Kings Place, London, on Sunday 22nd September. Full details and booking are here. I don’t usually ask for money on this blog, but here’s some information on why I am on this occasion. If you’d like to read some more interviews like this with young composers, why not check out my 10 for ’10 series, on which this post is based. Exciting times here at Rambler Towers. As well as putting together plans for my first full book, I’m also curating a show at Kings Place in September as part of their autumn OutHear series. I’m thrilled that the amazing Apartment House will be playing. The concert will be on Sunday 22nd September, starting at 4pm – a very civilised late afternoon sort of time. More details, ticket information and all that jazz to come, but in the mean time please check out the Facebook page. 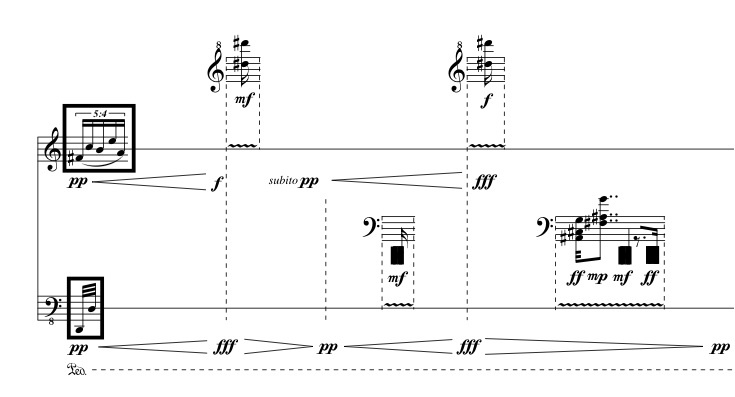 There are some nods to the post-Cage/conceptual work discussed in the NMBx article, particularly in Barrett’s A Few Silence, which begins the concert with five minutes of silence, followed by a five-minute transcription of that silence played by the four musicians. Pisaro’s Fade for solo piano takes us slowly back to silence through a series of long, slow decays. In between, however, I’ve shifted the emphasis slightly towards more music-theatrical uses of silence. The Isaacs and Sdraulig pieces thematise, in quite different ways, the production of sound at the edge of silence. In Sdraulig’s Close this often leads to ‘sonically redundant’ gestures that are composed, and have a musical content of a sort, but that don’t result in the production of an audible sound (bowing slightly above the string, for example). Isaacs’ allone is more effortful and activity-filled, but drawing on a similar repertoire of performer/instrument interactions. Kurtág’s very short Dumb Show, from Book 1 of his Játékok series, takes this a step further into the absurd, notating a complete piano miniature, including dynamics and articulation markings, but with the instruction to touch the keys only very gently, without depressing any of them. In another piece for piano (or pianist? 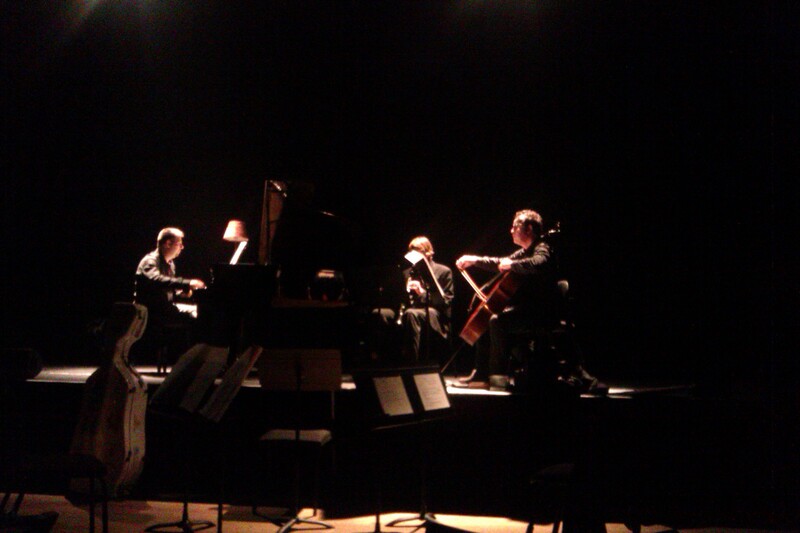 ), Greg Emfietzis uses an on-stage lamp as a silent partner in the music, contributing to and interfering with its development. And at the heart of the concert is Spahlinger’s 128 erfüllte augenblicke, among other things a study in the relationship between silence and sound at the extremes of musical fragmentation. With the wonderful Lore Lixenberg singing, this will surely acquire a certain dramatic aspect too. Over the coming months I will be posting quite a lot of material related to this concert; there will be some 10 for ’10-style composer profiles of the four younger composers in the concert, as well as some new entries to the Contemporary Notation Project. Probably one or two other surprises along the way. Of course, putting something like this together costs money, and in the UK at least funding for one-off concert projects – particularly ones that are devised around an idea, rather than to showcase brand new commissions – is hard to come by. After some consideration, I am taking the step of asking you, my readers, for your help. I’ve always resisted on principle the idea of monetising the Rambler: I write here for the love, I get a lot out of doing it, and I don’t feel obliged to any standard of professionalism, which frees me up to write stuff that would be difficult to place elsewhere. That principle hasn’t changed, and isn’t going to. However, if you do enjoy what you read here, and particularly if you come to enjoy the various posts I’ve got lined up in relation to the Some Recent Silences concert, then it would be a massive help if you would consider a small donation towards the costs of putting this show on. Any money raised will be exclusively reserved for the players; none of it will end up as profit for me. In the event that I actually raise more money than the players are asking for (you never know …), it will still go to the players; they’ll just get a bonus. In the interests of transparency, I will of course make the accounts available to anyone who asks to see them. If you would like or are happy to have your name included on a list of donors, please make a note of this with your payment. Two weeks today: get yourself down to The Space (a performing arts and community centre that is fast becoming an excellent addition to London’s new music scene). The Metapraxis Ensemble will be playing works by Yannis Kyriakides, Gregory Emfietzis, George Holloway and Scott McLaughlin in a programme that is built around John Dowland’s ‘Flow my tears’ and Kyriakides’s ‘Satellites’ and is ‘concerned with the contemporary world’s current state of affairs, the consequences of selfishness and personal insensitivity’. As well as music, the show features readings and video projections.